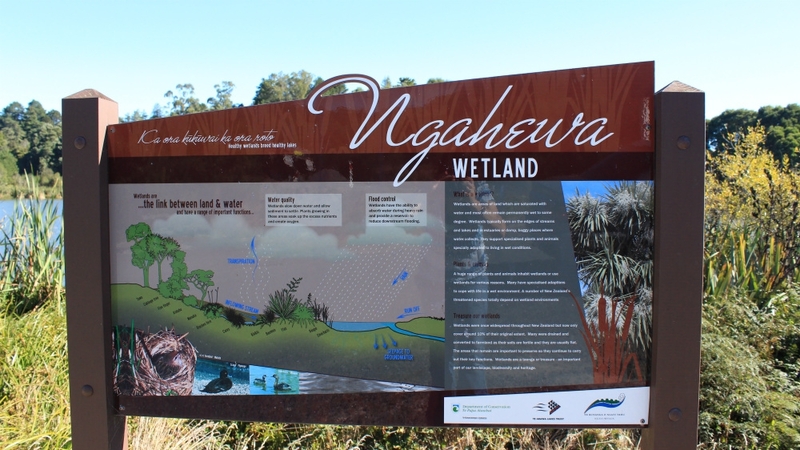 Lake Ngahewa is a small lake and wetland area situated just off State Highway 5 as you head towards Taupo and around 15 minutes drive from Rotorua. 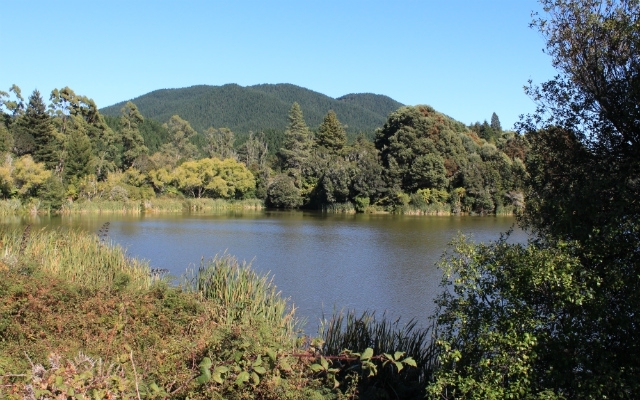 The small lake has limited facilities with a small parking area and picnic area. 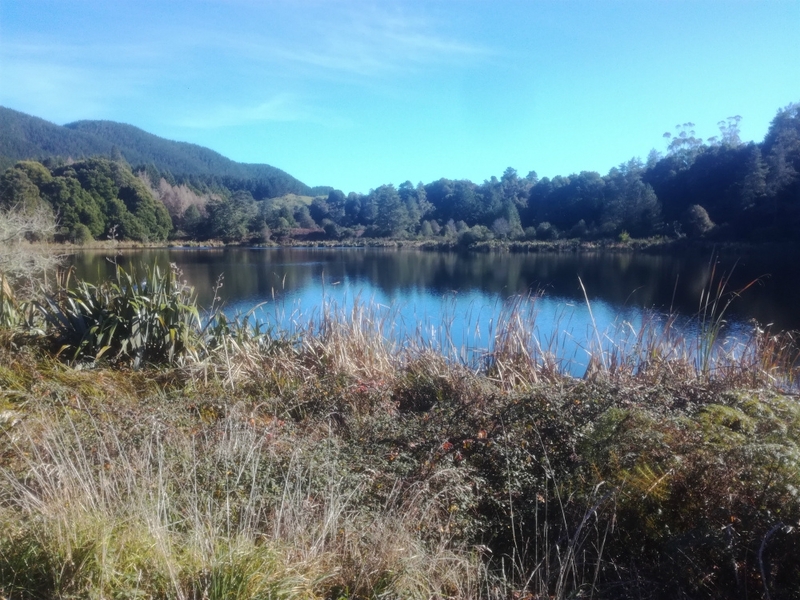 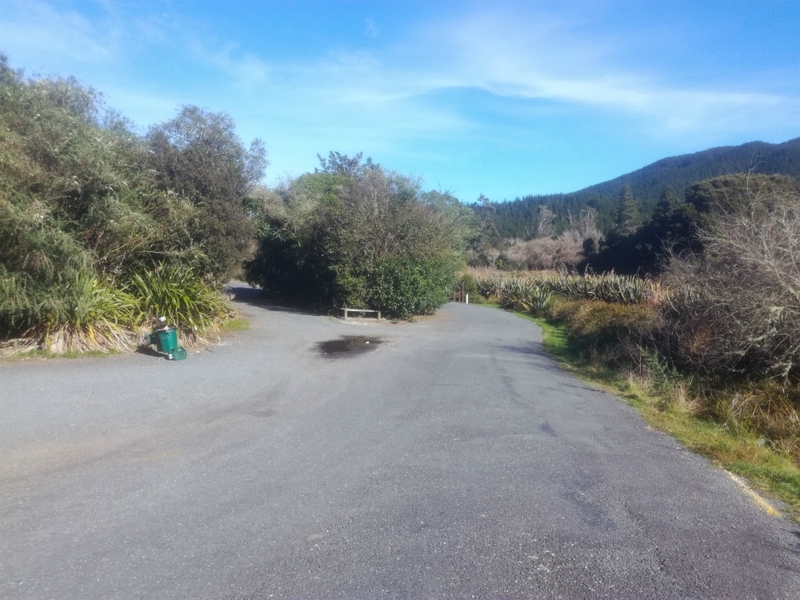 Most visitors to the area will be heading to the Rainbow Mountain Scenic Reserve which is located directly opposite and has a couple of good walking tracks. 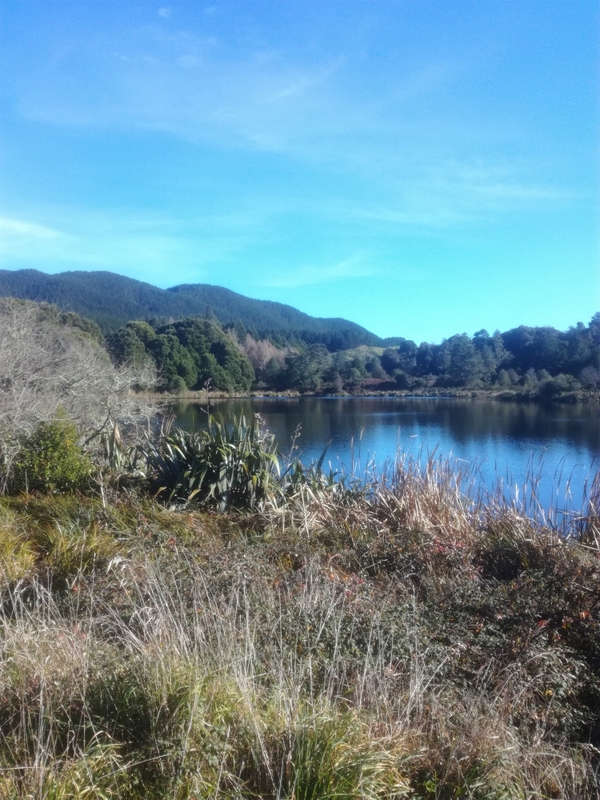 Although Lake Ngahewa is a pretty lake, the views are somewhat limited when you park up. 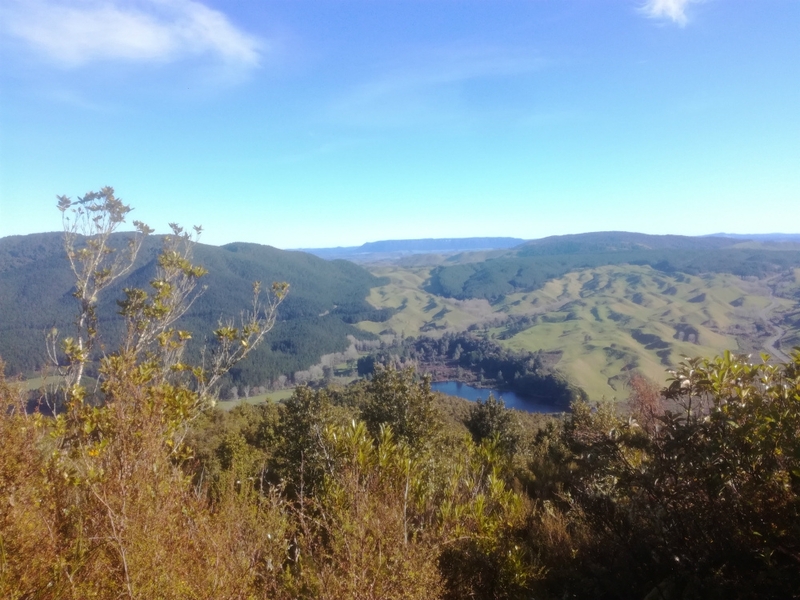 The best views of the lake are actually to be had from walking the Rainbow Mountain Summit Walk which offers impressive arial view of the lake.